So, you’re looking to get one vehicle (or perhaps many) for your business, you want some flexibility but don’t want to have to worry about depreciation. A Finance Lease could be ideal for you. A Finance Lease (also referred to as FL) is the ‘traditional’ lease option for businesses. It offers a flexible leasing option to fund a vehicle, without having the depreciation concern associated with owning it. A Finance Lease is ideally suited for you if you’re a VAT registered company. The company pays a fixed monthly payment and at the end of the agreement the vehicle is sold to a 3rd party to clear the final payment. The contract can go for anywhere between 1 to 4 years (5 if it’s a van), with the option to extend for an extra charge (typically one monthly payment). HOW IS A FINANCE LEASE PRICE DETERMINED? A finance lease cost is determined by the overall cost of the vehicle, the length of the contract (usually 1-4 years, or 5 if you get a van) and the chosen end payment (also known as the balloon payment). The balloon payment isn’t necessarily the predicted value of the car at the end of the agreement, as they won’t have mileage or condition information to estimate the value of the vehicle. Instead, it’s a suggestion of a sensible final rental payment. This is based on how many miles you say you are going to do, and how hard a life the vehicle will have. The balloon can be set by you and will depend on how much you want to put down as an initial payment, and what cost you’re willing to pay on a monthly basis. This offers a great deal of flexibility, so it’s difficult to give exact numbers. At the end of the Finance Lease, you have a couple of options. You can continue making the monthly payments on a yearly contract (typically there is a charge of one extra monthly payment to arrange this), or you can become an ‘agent’ for the Finance House and sell the vehicle to a 3rd party to clear the outstanding finance. If you’re leasing a van, your business can buy the vehicle. However, if you’ve been leasing a car then you have to sell on to a 3rd party. If you need more information we can help. 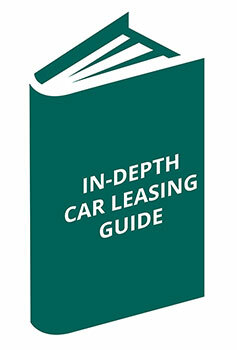 Download our guide to Finance Leasing.